Note: This post will contain mentions of mental illness/mental health. Please take caution when reading and if you're triggering by reading about mental illness - please do not read on. Also, whatever ways I suggest for dealing with MH at this time of year is how I deal with things and they may not work for everyone! As well as this, I am not a qualified mental health practitioner/counsellor/psychiatrist. 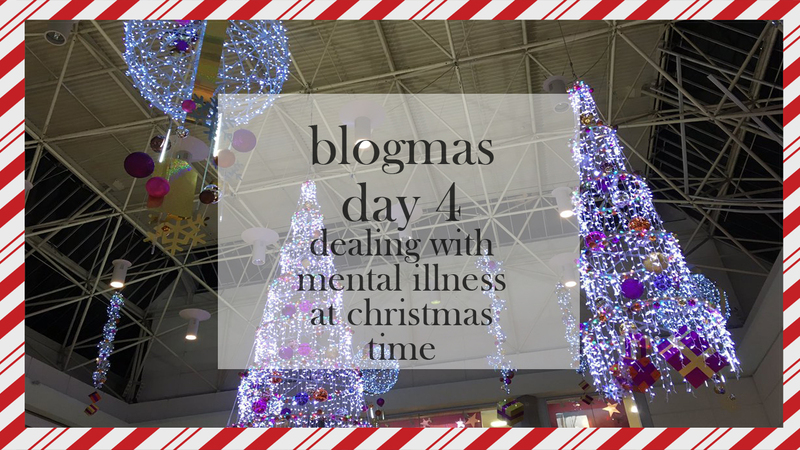 Welcome to Blogmas Day 4, everyone! I hope you're all having a lovely start to your festivities and are feeling relaxed and excited for the next 21 days coming your way this month! Today I want to talk about an issue which is always around and which I feel strongly about, especially at this time of year - which is mental illness. Christmas is famously known for being happy, jolly and for happiness... But sometimes feeling down and a little bit blue creeps in and sometimes it can be when we least expect it. 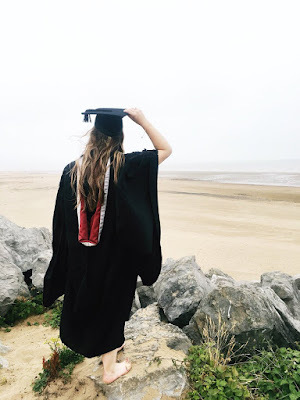 Whether you've had a bad experience around Christmas time or are currently struggling with mental health, I hope this blog post helps. So, I'm going to rewind a few years and talk to you guys about my struggle regarding this festive month and tell you how I got over it and hopefully you guys might be able to take something from it. A good few years ago was the last time I had a Christmas as a four with my mum, brother, dad and myself. I don't really remember the day very well, but I do remember going to the pub for Christmas dinner and asking my parents if it was alright if I spent the night at a friend's house. They agreed so in the night, off I went. She lived near me so it's not like it was a huge trek to get there or anything, just a simple 10 minute journey. I stayed there until the 27th or 28th and I came home and my mum came to pick me up. I felt something weird in the atmosphere when she arrived and I didn't really notice until we got in the car and drove home that I realised what had happened. To put things short, she and my father had separated. It was a weird mix of emotion for me at the time because even though I was definitely at an age where I knew what was going on and I was aware of it, my reaction was quite tame. It only took until the years creeping on where it affected me more. Even though my parents separating then eventually becoming divorced benefitted everyone else in the long run, I feel as though I have a bit of an adjustment issue, where I take a good while to adjust to things (which is totally normal for people to feel like this). It felt strange, like as if the balance of what I was used to and what was 'normal' was gone and I felt a little bit lost, if I'm honest. It's nobodies fault, people react to different things in different ways and I am not putting the blame on anyone else. I got over this by... Not throwing myself deep into festivities, but not edging around it. I tried to find a middle ground so that I wasn't overwhelmed, but not as if I wasn't being involved. Cutting toxic people from my life helped as well so I didn't have the emotional burden of the conscience in my head saying "you'll need to see them soon" or "you should really message them back". Dealing with a mental illness at Christmas time is going to be hard, especially when you're 'expected' to be happy and optimistic the entire time, when some of the time you probably want to curl up in a ball and sleep until the 1st of January. t's a tough time of year for some people, especially if a bought of depression, anxiety, PTSD etc hits you and you can't really wipe it away. A tip of mine for this is to take it easy. Just pace yourself this month and don't force yourself into too much, as in don't force yourself and dive headfirst into so much holly and jolly-ness that you feel like you're drowning. If things become a little bit overwhelming, just withdraw and take some time for yourself to relax, calm down and maybe re-attempt what was going on. If you're taking time for yourself and focussing on the negative emotions to get rid of them instead of bottling them up, you'll feel better for it (whether it be a lot or not much, it'll still have a bit of an affect on you). Another tip of mine for dealing with mental illness at Christmas time is to try and push the negativity away. This can be hard, I know, but the last thing you want is to dwell on things and make yourself feel down and negative. If you try and distract yourself with social interaction or different mindfulness methods (e.g. breathing techniques if you get particularly worried/anxious/down, using apps on the play/app store for mindfulness like Headspace). These usually help me because if I'm home alone for a long amount of time, I sometimes get a bit bored and start dwelling on things and that makes me down or feeling negative. Distractions are key for this and what I do is browse social media and interact with fellow bloggers, use Netflix/Disney Life/TV to watch a few things to relax, do some reading, write up a blog post, message one of my friends/try to meet up with them, listening to relaxing and calming music on Spotify/iTunes/8tracks, going for a walk... There are endless lists of possibilities for you to do in order to distract yourself and your mind from particularly distressing times. 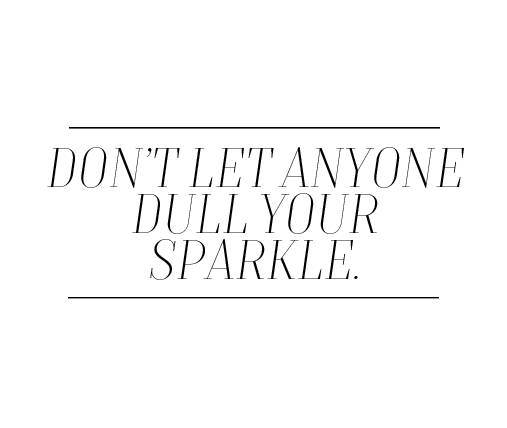 Try not to let negativity ruin your time this season. Even though MH can hit randomly and for however long of a period of time, try to not let it ruin your good fun this Christmas. Trying to make the best of a holiday is good for you and the optimism and happiness around you should influence your mood and make you want to do things with people, instead of sitting around and being down. Just say to yourself "No, this is my happy time and I'm going to enjoy it", and keep telling yourself that whenever you feel particularly down. Do your best to try to not sleep too much. I noticed that if I was sleeping for a good portion of hours (as in more than 7, since I function off 7 rather than 9), I was waking up feeling groggy and miserable all day, as well as being unnecessarily snappy with people which then made me feel ten times worse. If you try to get the recommended 8 hours, this could benefit you so much. If you find it hard to get off to sleep, I use Nytol Herbal tablets and these help me drift off to sleep in less than half an hour, and it doesn't make me feel groggy in the morning! I really hope you guys can get something from this and that your month is full of happiness and it's stress-free! I'm so glad you found this helpful! It is a tough thing to have to deal with in general, but I feel at Christmas time it is more difficult to deal with, I reckon. Yeah exactly, being a little selfish is beneficial! Well done for sharing my lovely. My parents also separated and then divorced but not around Christmas time, but I feel like I can resonate with you on this at least a bit. It's awful but if it benefits everyone then it's the best thing, or so I believe anyway! I hope that Christmas this year is a good one for you, because you deserve it, lovely. Thank-you so much, that means a lot to me, like you have no idea!